Sometimes, despite all your hopes and dreams, all your good intentions, the connection between you and your spouse just cannot go on and you consider divorce. Divorce is more common today, for the younger generations than it was with their parents. Today, when married life becomes hard, with too many fights, and with too many harsh words, couples feel the need to simply need to move on. There are times when people divorce because they simply grow apart, no matter the age of the couple or how long they have been together. When people get married too young, they might find that life changes who they are and what they want out of life, causing them to grow apart from their spouse. When couples grow apart, most of the time they reach the mutual decision to divorce. Often, these couples can walk away from their marriage with an uncontested divorce, which makes it easier for both spouses. This may be a bit more difficult if there are children involved. Here are some simple signs that are telling you that you’ve finally reached the point of of filing for divorce. These are just suggestions because each marriage is different and of course, filing for divorce is a personal decision that is yours and yours alone. Does every situation, no matter how small, somehow, evolve into a fight? Do your fights frequently turn into hurtful and emotionally overwhelming event that you cannot seem to get over. Is there a lack of mutual respect for each other? Do you both have different goals and dreams? There’s a lack of attraction between you and your spouse? You both no longer share moral, ethical, or lifestyle values? Despite help from professional therapists, both of you have moved on. 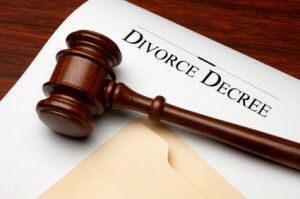 At the Law office of Leslie A. Williams we understand that the legalities of Divorce are difficult to understand. Call to speak with Leslie and her expert team, they can help you find the best solution to get your life back on track. If you need an experienced Divorce attorney in Blue Springs and you’re ready to start exploring your options, come into the office in Blue Springs, use our web submission form, or call today at (816) 533-4331.